...such a calm scene, at first I missed the swan. Fine b&w image with the little row boat and swan. Calm scene. How muddy and beautiful. A bucolic escape perfect in monochrome. Beautiful peaceful scene - love it! 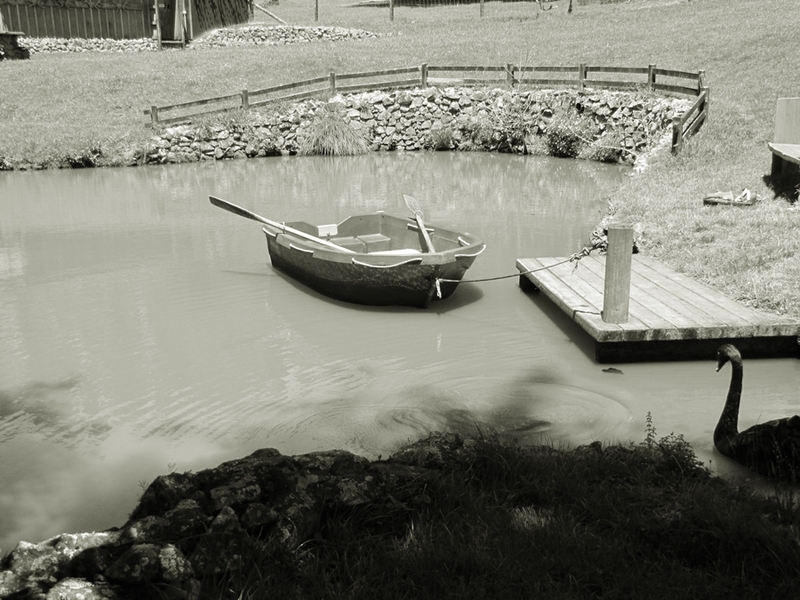 Serene -- but the rowboat looks a little lonesome. The swan is coming to keep it company though.